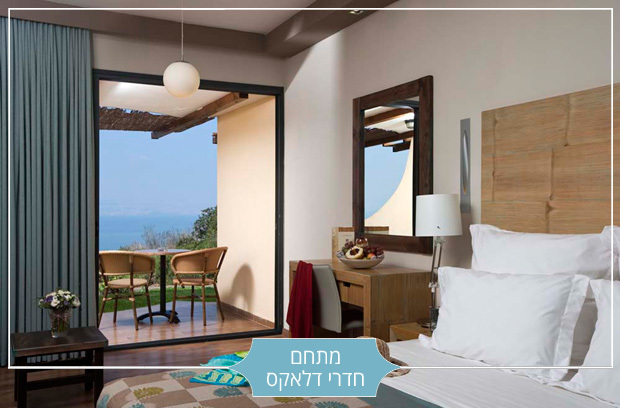 In Northern Israel, at the foot of the Golan, overlooking the magnificent view of the Sea of Galilee, Indulging guest rooms for couples and families, surrounded by open lawns, breathtaking views, a swimming pool (in season), spa treatments, adventure trails and above all – first class luxurious service. 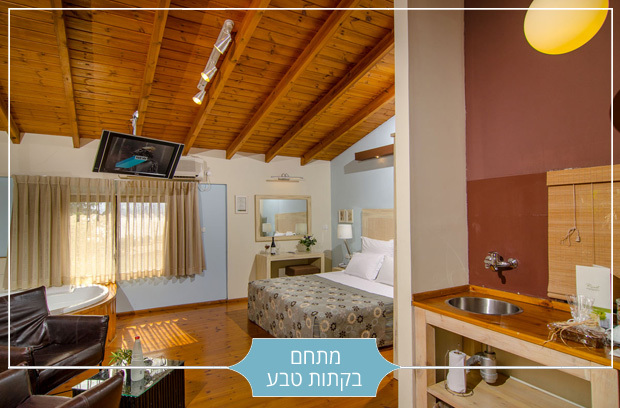 Our Resort features 123 beautifully decorated deluxe rooms, Nature Cabins and Chalets set among the lush landscaping of the Golan Heights and the Sea of Galilee. 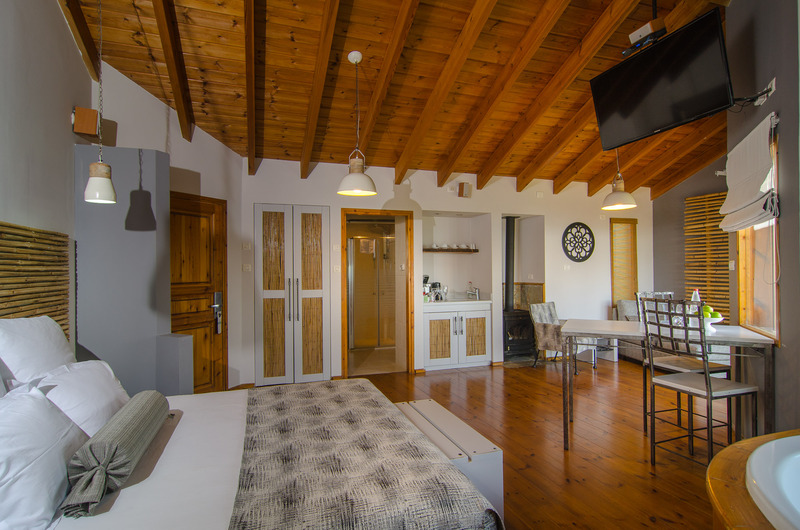 Up to 4 days prior to 1 night billing arrival. ChaletLuxurious, Country-Style Suites, offering a private, pampering world, Shower with hydro massaging jet heads, Private Sauna, Huge Jacuzzi, Extremely wide king size bed with pampering bedding, Children's room, Surround sound system, 42" Plasma Screen TV, Internet connection, Refrigerator, Sitting area and espresso machine, Private Patio and Garden overlooking the Sea of Galilee, Safe, Hair dryer. Private Parking. 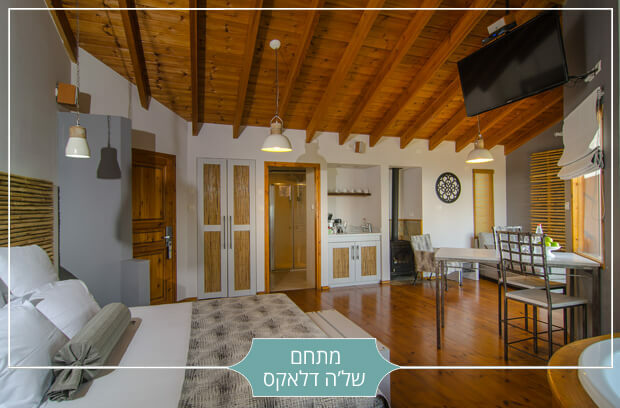 In addition, a pampering package, including: Natural soaps, Bathrobes and slippers, Sweet treats, A bottle of wine made from Golan grapes and lavish breakfast served to your room (couples only). (All prices not include v.a.t, Tourist exempt form v.a.t).